How Long Will My Slip and Fall Case Take? How Much Is Your Slip and Fall Case Worth? Send A Claim Or File a Complaint? Tripping at a construction site can cause serious injury. Workplace accidents can cause serious injury and lost time from work. 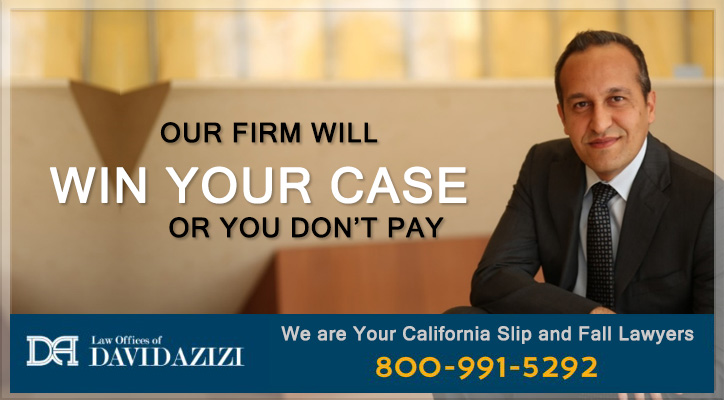 Los Angeles slip and fall lawyer David Azizi and team are experienced in on the job accidents and will fight to make sure you receive adequate compensation. We’ve won 98-percent of our cases and will work diligently to win yours too. Start the process by calling (800) 991-5292 today and set up a free, no-obligation case evaluation. Don’t delay since there are strict deadlines you must meet. Workers’ compensation is generally an employee’s exclusive remedy when injuries occur on the job. However, there are hybrid situations where a worker may file a claim for workers’ comp and still be able to file a personal injury claim against a negligent third party. It is important to understand how workers’ compensation works and what other venues workers have. Under California Labor Code Section 3700*, all employers must provide workers’ compensation if they have one or more employees. Workers’ compensation insurance is purchased from the State Compensation Insurance Fund** or an authorized insurance provider. In addition, a business can choose to self-insure if it meets state requirements. Sole proprietors without employees may purchase workers’ comp insurance, however, other options are open to them. Workers’ compensation laws mandate that an employee*** be paid compensation if he or she is injured while on the job. The injured employee does not have to prove the employer was negligent. In fact, if the worker was responsible for the accident, they could still collect workers’ compensation. A workplace injury can be a one-time event such as slipping and falling due to a spill on the floor at work or tripping over an obstacle. It can also involve injury due to work-related repetitive tasks such as typing or hammering. Over time, such activity can cause nerve damage, resulting in carpal tunnel syndrome. Sometimes, a third party is responsible for a work injury. 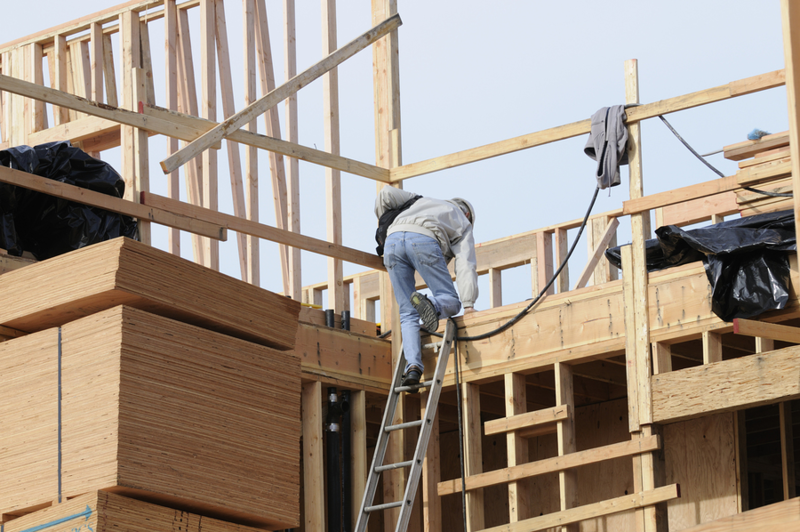 A third-party lawsuit can be filed if the worker’s injury is due, at least in part, to a negligent third party other than the worker’s employer. This could involve another worker employed by a third party or a defective product. Third-party claims can be filed concurrently with workers’ comp claims. Talking to a Los Angeles workers’ compensation lawyer about this is helpful. Why Can an Employee Be Denied Workers’ Comp Benefits? An employee can be denied workers’ comp if they caused the accident by disregarding company policies in order to receive benefits or if the worker was performing an illegal act. Other reasons for denial include being under the influence of drugs or alcohol or if the employee was not on the job when the accident happened. In addition, an employer may dispute the workers’ comp claim, saying that the injury is not due to a work accident. In California you are entitled to collect medical expenses, lost wages, temporary/permanent disability, benefits to retrain or enhance skills and death benefits. Workers’ compensation does not compensate for pain and suffering. Some workers such as independent contractors, farmers, and volunteers among others are not covered under the workers’ compensation system. If you are not covered by workers’ comp, you may file a personal injury lawsuit against your employer. Care must be taken on work sites. A third-party claim arises when an employee is injured at work due to the negligence of a third party that is unrelated to the employer. For example, if an employee is injured by defective equipment, a lawsuit can be filed against the manufacturer in a product liability claim. If a toxic substance caused the employee’s injury and the manufacturer did not provide adequate warning about using the substance, you may be able to file a lawsuit against the company that manufactured the substance. There are other ways a third party may be involved. For instance, if the elevator in the building where an employee works malfunctions, causing injury to the employee, a third-party lawsuit can be filed against the company responsible for elevator maintenance. In another instance, the elevator may not line up flush with the floor. When that happens, someone entering the elevator could trip. The failure to care for the elevator in such a way as to prevent workplace injury, in these cases, would be the proximate or direct cause of the worker’s injury. Common areas within the building housing a worker’s workplace must be kept safe for slips, trips and falls. An example, would be to place non-skid mats in front of entrance doors when it rains to prevent slipping. In addition, the owner/possessor of the building is responsible to maintain the sidewalks or parking lots in such a way as to prevent trips and falls. A third-party claim includes remedies for medical expenses, lost wages, ancillary expenses and pain and suffering. On occasion, an employer and their insurance company may join the third-party lawsuit. This is done so they can recover any paid benefits the employee received through workers’ comp. If this is not done, the employee will have to repay the workers’ comp benefits he or she received out of the personal injury award. Since workers’ comp does not cover pain and suffering, nothing awarded for this will need to be repaid. Take pictures of the accident site with your cell phone, including the reason for your fall. Alert your employer that an accident happened in order to file a workers’ compensation claim. Determine if a third party was involved. Make sure to fill out an accident report. This is mandatory if you are using workers’ comp. Collect witness contact information. Ask the witnesses to write down what they saw and sign it. Remember to ask if they witnessed a similar accident in the past. When you can, take photos of injuries such as bruises, lacerations or any other physical marks visible on your body due to the accident. Go to your doctor as soon as possible. He or she will document your injury. If you are filing a workers’ comp claim, your employer may indicate what physician you should see. Start a daily diary. How you feel on any given date can be forgotten. Your employer must provide a workers’ compensation claim form. The form should be mailed or handed to you within 24 hours of the employer finding out about your injury. Online forms are available in California. Once you have the form, complete the employee section, and date it at the top and sign the form on the bottom. It is a good idea to make a copy. If you are sending the form to your employer by mail, send it registered mail return receipt requested. If the form is not received by your employer, you may forfeit the right to collect workers’ compensation benefits. Your employer fills out the employer’s section and sends it to the insurer. The employer is also required to send you a completed copy. The insurer is given 14 days to let you know the status of the claim. If you do not receive a status letter, call the company to check on the status. Whether you are injured at a manufacturing plant, a construction site, during a luncheon meeting with a supplier, using an escalator in the workplace or on the road going to your next appointment or delivering supplies, the injury happened at work. Slips, trips and falls make up more than 20 percent of all workplace injuries, 17 percent of disabling injuries and 15 percent of deaths caused by an accident, according to the Occupational Safety and Health Administration.† Across all industries, one million workers suffer a slip, trip and fall each year. Up to 30 percent will have moderately serious injuries such as fractures. In addition, slips, trips and falls are the most common cause of traumatic head injury with long-term complications. Slip, trip and fall injuries are responsible for lost time away from work, averaging 11 days. More serious injuries cost $62 billion annually in compensation. If less severe injuries and third-party costs are added to this, the expense could reach $100 billion a year. Can I File a Lawsuit for Intentional Harm? If your employer intentionally tries to hurt you and causes you injury at work, you are able to file a personal injury lawsuit against employer. This intentional tort lawsuit is filed in civil court and can include both physical harm such as landing a punch during an argument or non-physical injury such as emotional distress and invasion of privacy. Can I Sue My Employer If He Does Not Have Workers’ Compensation? Yes. If your employer does not have workers’ compensation insurance and you are a covered employee, you are able to file a personal injury claim to recover damages. The third party had a duty of care toward you. This directly caused your injury. The injury would not have happened except for the third party’s negligence. The injury had financial consequence. How Long Do You Have to File a Personal Injury Lawsuit in California? The statute of limitations**** for personal injury in California is two years. If an injury is not initially discovered, the statute of limitations is one year from the time it is discovered. One of the most common questions a lawyer is asked is what is my case worth. Of course, this varies from one case to another. If you are wondering about this, start by filling in the information on the David Azizi slip and fall settlement calculator. David will review this information at your free case evaluation. In addition, he will gather more information about what happened and be able to provide you with options and tell you what settlement/verdict amount you might expect. Since the jury awards the compensation in a court case, David will fight hard to make sure you obtain the remedy you need. Fractures: Depending on the accident, fractures can occur on any part of the body but are most commonly seen in the hands and arms, legs, knees and hips. In some cases, surgery is needed to repair the fracture. Head and Neck Injuries: These injuries include scalp laceration, concussion, subdural hematoma or intracranial bleed and traumatic brain injury. Facial Injuries: This includes facial bone and dental injury. Shoulder Injuries: Injury to the shoulder can result in a dislocated shoulder, brachial plexus injury, which causes problems with hand and arm movement, or ligament and tendon tears. Knee Injury: Other than patellar fracture, the knee is subject to meniscal tears, tendon tears, particularly the patellar tendon and ligament injury. The anterior cruciate ligament, if torn, usually requires knee reconstruction. Patellar fracture may require surgery if the patellar fragments are displaced. Spinal Injury: Vertebral herniation as a result of a fall can occur in the cervical/neck, thoracic/mid-back or lumbar/low back regions. This can be repaired by a diskectomy or total removal of the disk or a partial removal. The herniated vertebrae are fused after a diskectomy or an artificial disk is inserted. A diskectomy can have complications such as damage to the root of the nerve and infection. Spinal Cord Injury: This serious injury can result in paraplegia or quadriplegia depending on the level at which the spinal cord is injured. Symptomatic Conversion of a Degenerative Condition: Some individuals have a degenerative condition in their joints and spine. This condition is often asymptomatic. However, the trauma of a slip and fall injury can convert that to a symptomatic condition, causing them significant pain and loss of flexibility. This can have a profound effect on their life. If you have been injured at work and are looking to file a personal injury claim against a manufacturer, your employer or a third party, David Azizi can help. David has been honored by Expertise.com and Super lawyers as one of the top personal injury attorneys in Los Angeles and Beverly Hills. David fights for your rights and works diligently to make sure you obtain the maximum compensation you need. He understands how hard it is to be injured at work and still have a family that depends on your contribution. He has one of his own. He makes every effort to make sure you have access to him when you need it, including giving clients his personal cell phone number. Don’t face the trauma of an injury due to someone’s negligence alone. Give David a call at (800) 991-5292 now to set up a free case consultation. David will shoulder the burden of dealing with what needs to be done legally and let you concentrate on moving forward.